Slam! the Tour has hit three cities in the US on its Bollyfabulous tour with three to go and from what we hear and have seen the concert is killer! 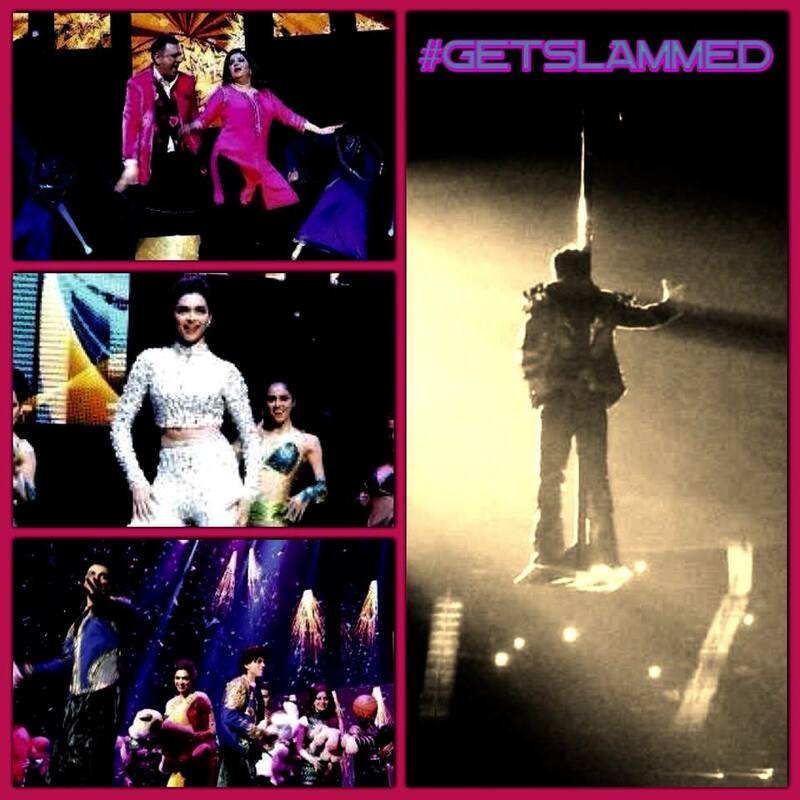 Featuring Farah Khan, director of Happy New Year and the cast that includes Shah Rukh Khan, yes, you can see him live, Deepika Padukone, her too, plus you get to see Abhishek Bachchan hit the stage, along with Boman Irani, Sonu Sood, Vivaan Shah as well as Malaika Arora Khan, Kanika Kapoor and Yo Yo Honey Singh. This Bollywood extravaganza is a night full of performances to remember! We have this cool behind the scenes look at the first three shows in Houston, New Jersey and Washington! If you haven’t already……….GET READY TO GET SLAMMED !! 15 queries in 0.602 seconds.